The hot new device on the market is the iPhone XS Max. It’s got a big, beautiful display and a camera that rivals many full size cameras on the market. However, like any smartphone camera out there, it does have a couple of “cons” to it. The “cons” themselves aren’t bad or knocks against the phone, but are more the nature of it being a camera inside the phone — there just isn’t enough space for all the camera hardware. That said, many of the features are all digital, such as zoom. Zoom into a subject, and you’ll notice that the picture becomes blurry — and that’s because your iPhone XS Max isn’t using optical zoom. Luckily, there’s a pretty easy way to fix that, and that’s with an external clip-on lens. 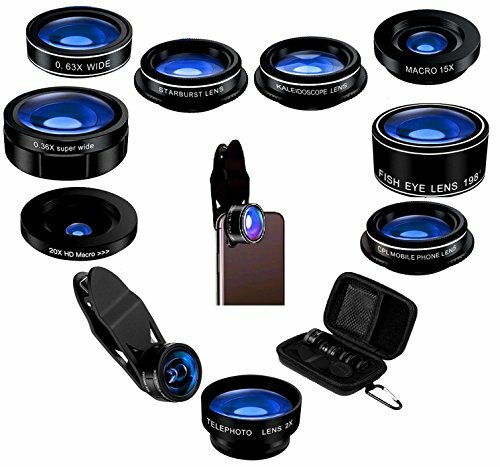 Phone accessory makers make tons of external lens’ for different smartphones, including macro lenses so that you can zoom without blur on your subject. Not sure what lens or macro lens to pick up for your iPhone XS Max? If you follow along below, we’ll show you all of our favorite options. Here are our top picks. You’ve likely not heard of the brand before, but the AMIR iPhone Lens brings some excellent camera quality to the iPhone XS Max. 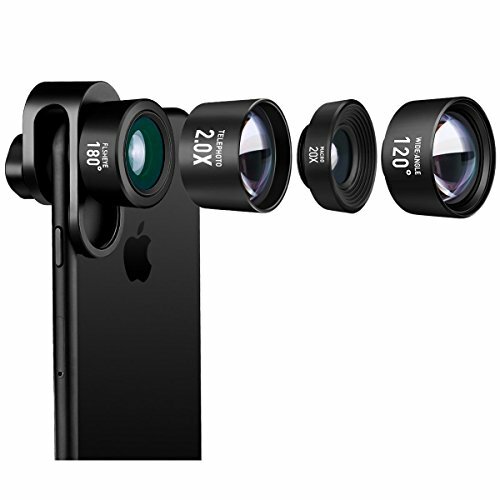 For only a couple of dollars, the AMIR iPhone Lens actually hooks you up with three different lenses that you can use. First, you can expand your camera viewing by 0.4X with the 140-degree super wide angle lens. You’ll also find a Fish Eye Lens inside, which enables you to see the image with the range of 180 degrees from the right to the left on your phone. And, of course, this one features the most important lens that we’re after: the macro lens. Attach it to your iPhone XS Max, and it’ll immediately bring you incredible focal distance of 1/2(13mm) for some amazing 10X macro shots. These are made out a professional-level glass, bringing you unmatched clarity for your photos. It’s also resistant to scratches and nicks. The Moment M-series Macro Lens is actually a pretty unique setup, but is one of the best that you can pick up for your iPhone. It actually works with the iPhone, Pixel phones , and Galaxy Phones, really making this lens a versatile option. It’ll increasing their camera taking abilities easily. As you know, digital zoom can really destroy the quality of a photo, especially if you’re using the maximum digital zoom possible. But, since the Macro Lens is essentially an optical zoom, your photos turn out great! The Moment M-series macro lens aims to solve that problem by giving you the ability to capture life sized images of the smallest objects at the highest quality. 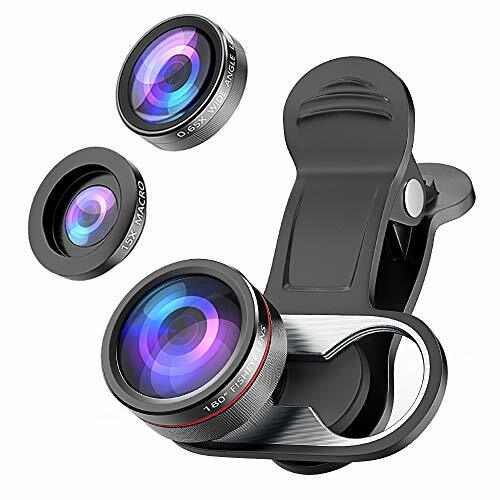 It comes with a couple of extra, including a lens cover to keep the lens safe, as well as a carrying case; however, you will need the Moment Photo Case attachment to get this to work with the iPhone XS Max and other phones. 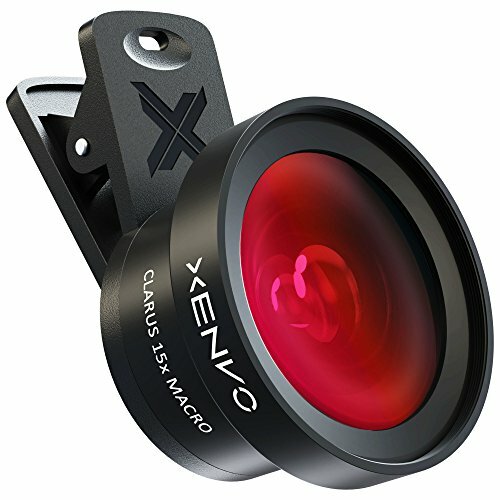 First up on our list, we’re looking at the Xenvo Lens Kit Pro. In this kit, you only have two lenses inside of it — there’s a 0.45X wide angle lens and a Clarus 15X macro lens. The wide angle is there to help you take, well, a wider angle photo. Then you have the Clarus 15X macro lens, which will allow you to take close up photos with razor sharp detail. For only a couple of bucks, the kit is well worth the price. Coming in as second on our list, we have the 5 Star Prime 9 In 1 Lens Kit. This kit is fairly unique because it has a whole 9 lenses inside of it. There’s not a whole lot of kits that offer that many in a package, so this one will set you back a few dollars. That said, you have plenty of choices of lenses in this kit — there’s actually two different macro lenses inside, one HD and one non-HD. In addition to the macro lens, you get wide angle lenses, a telephoto lens, as well as a burst lens. Coming in as our third contender, we have the Stoon Camera Lens Kit. This kit has a couple of different options as far as lenses go. With your purchase, you get a 15X Macro Lens, a 180 degree fisheye lens, and there’s even a 0.65X super wide angle lens. If you’re looking to transform the quality of your pictures, then any one of these lenses will be right up your alley. These actually work really well with the iPhone XS Max’s dual-camera setup, providing you with a protective silicone frame to hold the lens on. Not only that, but it prevents your camera glass and body from getting too scratched up as well. 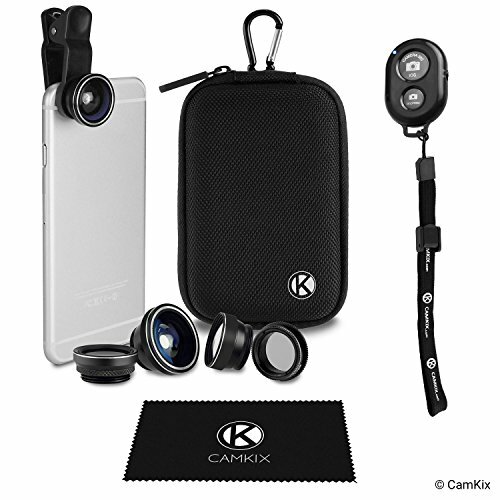 The fourth contender on our list is the CamKix Bluetooth Shutter Camera Lens Kit. CamKix throws a couple of different lenses inside of this one, including a wide angle lens, a telephoto lens, and even a macro lens. The unique thing about this kit is that it’s going to come with a Bluetooth shutter remote — connect this up your iPhone XS Max, line up the camera shot with your phone, and then press the shutter button on the remote in your other hand to take a natural hands-free photo. 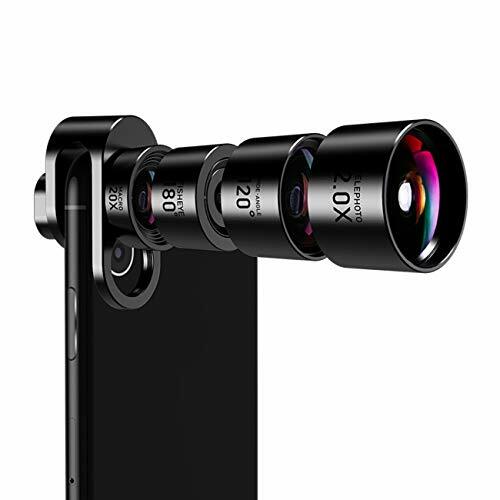 Coming in as last on our list, we have the JoPree Cell Phone Camera Lens Kit. This one is a little more unique than the rest on our list, with them offering DSLR-level quality lenses. These are easily attached and detached from the Apple iPhone XS Max, allowing you to swap a lens out for almost every situation. There are tons of different lenses in this package, including a 20X macro lens, a 180 degree fisheye lens, a 120 degree wide angle lens, and there’s even a 2X telephoto lens. As you can see, there are tons of different options for you as far as lenses and macro lenses go — any one you pick up off of this list will work really well with the iPhone XS Max and transform your photos into something with razor sharp quality. Depending on your lens of choice, you can make zooming into photos clearer, or you could provide yourself with some nice abilities for taking wider angle photos. If you really want to make sure you’re taking a high quality photo with a good lens, then the JoPree set will be right up your alley. Do you have a favorite Macro Lens for your Apple iPhone XS Max? Let us know what it is in the comments section below!